Are you a journalist? Looking for press releases, videos or photos? If you have general questions, contact the AWDC PR & Communications Department via press@awdc.eu. As part of a proactive media and press approach, AWDC regularly sends out press releases to national, international and trade media. Our press releases are available here. Our photo archive is replete with pictures from all our events, trade fairs, seminars and information sessions. Be sure to check our calendar and sign up for your personal newsletter to be notified about upcoming events. 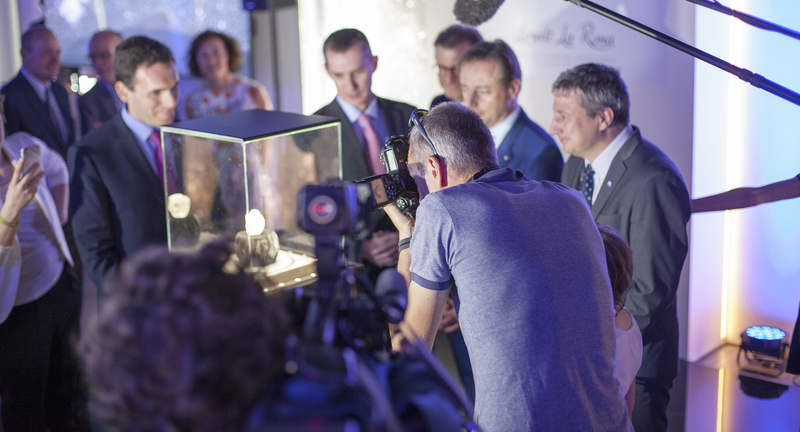 Find out all there is to know about the Antwerp diamond industry in just under 6 minutes: Antwerp & Diamonds: A Brilliant Story is available in 12 different languages and is free to use on your website and social media channels. Check out other videos and reports here.